← Households and networks: Will your friend’s job search get you a job? Does land title registration work? Firms were a popular topic at the CSAE Conference. While two years ago there were only four sessions dedicated to firms, this year there were a solid seven sessions dedicated to firms (overtaking Labour!). In our last round-up blog on this year’s CSAE Conference, Elwyn Davies and Muhammad Meki, both DPhil researchers at CSAE, discuss a selection of papers from these sessions. Many more were presented, which can be found in the CSAE Conference programme! In the following we discuss Francis Teal’s take on the missing middle in Ghana (it’s missing), how firms grow and change over time, how non-cognitive skills training can encourage entrepreneurship, how identity matters for incentives and how neighbouring firms in Ghana, Togo and Benin differ in the taxes they pay. The missing middle in Ghana: can we resolve the debate? 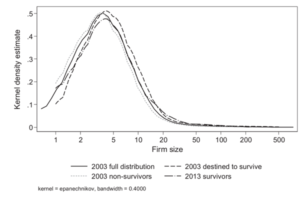 One recent fierce debate in the firms literature was the debate about the long-presumed “missing middle” in developing countries: are medium sized firms underrepresented in the firm size distribution. Chang-Tai Hsieh and Benjamin Olken argued that this missing middle was actually missing, while James Tybout argued that it is still present. Part of this debate was about the definition of the missing middle: does a missing middle mean that the distribution is clearly bimodal (as Hsieh & Olken argued) or does it simply mean that a distribution is not Paretian (as Tybout argued). Francis Teal analyzed the data from two waves of the Ghanaian manufacturing census to answer the question whether there was a missing middle. He does not find a missing middle using both the definition of Hsieh and Olken and Tybout’s defintion. Actually, the firm distribution in Ghana is fairly close to the Paretian distribution, unlike in India, Indonesia and Mexico. Nevertheless, there are huge differences between firms and over time the difference in productivity between small firms and large firms have exploded, in particular when looking at value added. Large firms, of more than 100 employees, produced 60% of value added in 1987, while representing 0.8% of firms. In 2003 they produced 56% of value added while only representing 0.3% of firms. Francis Teal therefore concludes that Ghana very much needs its “one percent”. Very much related to Francis Teal’s work on the firm size distribution, was the paper presented by Elwyn Davies (University of Oxford), joint work with Andrew Kerr (University of Cape Town). They focused on the question how firms change over time, which firms grow and which firms disappear? Elwyn presented results from a survey in which Ghanaian manufacturing firms were re-interviewed after ten years. 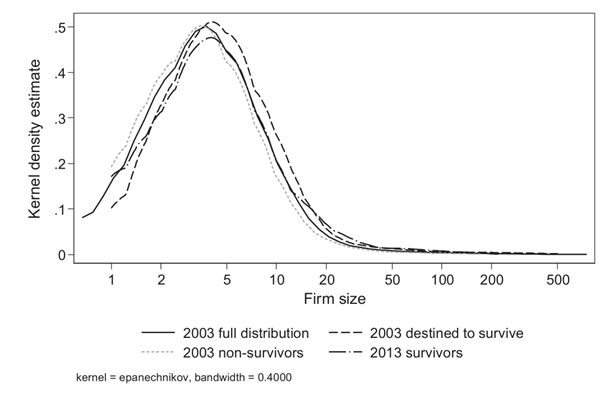 In line with previous studies, they find that smaller firms were more likely to exit than larger firms. They also found regional differences: firms in Accra, the capital, were more likely to exit than firms in Kumasi, the second city, but firms in Accra were also more likely to grow. This seems to suggest that selection pressures are stronger in the capital. The authors also studies the changes in the firm size distribution and found that the firm size distribution remained very similar over the ten year period, suggesting that changes in the firm size distribution were not much driven by growth or selection (unlike in Portugal or earlier work done in Ghana). How does identity matter for the adoption and effectiveness of incentives? Why would Ethiopian workers be asked to sing a song in Chinese every morning before they begin making shoes? Why does Google install lava lamps and large rubber balls around its offices? Firms often make investments in organisational culture that provide no monetary incentives, which presents a puzzle for standard economic models where workers are only motivated by monetary rewards. Akerlof and Kranton (2005) suggest that identity – a person’s sense of self – can be an additional source of motivation, by introducing two identities within the firm: (i) insiders, who identify with the goals of the firm; and (ii) outsiders, who do not. These two types differ in their associated ideals and beliefs about how an employee should behave: insiders are assumed to act in the interest of the firm, which justifies costly investments and activities aimed at creating an organisational culture with more insiders. Lena Song (NYU) presents a theoretical paper, using a principal-agent framework, in which she extends the model in Akerlof and Kranton (2005) to address two interesting questions: (i) if these practices are effective and relatively easy to imitate, why are they not adopted by all firms? ; (ii) how do firms combine investment in organisational culture with monetary incentives? She incorporates the psychological effect of monetary incentives through signalling and peer effects, and considers the role identity plays in this process. By assuming a stronger positive effect of incentives on effort ideals internalized by insiders, she finds that monetary incentives and investments in organisational culture are not necessarily substitutes. If there is an outsider culture of significant underperformance, these management practices are shown to be complements. The theoretical model and its extension yield testable predictions about conditions under which organizations are more likely to invest in culture: when the ‘outsider culture’ is to significantly underperform, when the cost of implementing organisational culture is low, when the firm can promote a hardworking insider ideal and when agents are of heterogeneous outsider identities. This could be explored in future experimental work, which we look forward to! Recent literature reveals a promising link between business training programs and management practices; however, few studies find significant impacts on profits or sales, although this could be due to a lack of statistical power (McKenzie and Woodruff, 2013). Non-cognitive skills can also be important for entrepreneurship and income (Heckman and Kautz, 2012; ungated version). The psychology literature has shown correlations between some personality traits and business performance, yet few attempts have been made to experimentally evaluate the success of teaching such attributes to owners of small-scale businesses in developing countries. Markus Goldstein (World Bank) presented his joint work with Francisco Campos (World Bank), Michael Frese (NUS/Leuphana University of Lüneburg), Leonardo Iacovone (World Bank), Hillary Johnson (World Bank), David McKenzie (World Bank), and Mona Mensmann (Leuphana University of Lüneburg), which investigates whether business training can best help small businesses to grow by equipping owners with a set of business practices like accounting and marketing skills, or instead by transferring soft skills inducing a more entrepreneurial personality in business owners. 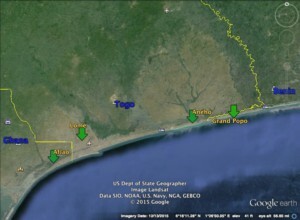 The authors conduct a field experiment with 1,500 microenterprise owners in Togo, where two thirds were randomly assigned to either: (i) standard training on how to improve business practices; or (ii) personalised initiative training aimed at enabling them to become more proactive and resilient to obstacles. Preliminary findings suggest that both training programmes improve business practices, with a greater effect for the personality-based training programme. Only the personality-based training led to higher sales and profits. The authors examine the mechanisms behind the result, and find that there was an increase in innovations, such as the introduction of new products and services. It would be very interesting to see an analysis of the cost effectiveness of this training! A story of three neighbours and their taxes: is it institutional quality that matters? The extent that informal firms are taxed is very much dependent on the capacity of states to implement these taxes. 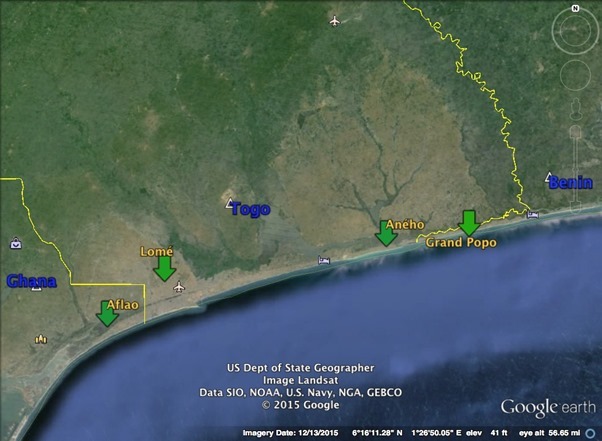 Moussa Blimpo (World Bank), with Paul Dower (Florida International University), studied the tax payments of firms in the east of Ghana, Togo and the west of Benin. While these areas are similar in culture and the ethnic composition, there are large differences in institutions. The extent of taxation indeed differs, but this is not as much related to measures of institutional quality as we would expect: while Ghana and Benin score very similar, and Togo much lower, Benin firms’ tax participation is similar to the tax participation of Togolese firms. They conclude that the explanation for this is probably deeper and more subtle, and for example related to differences in legal traditions (common law vs. civil law). This is the last blog in a series covering papers presented at this year’s CSAE Conference. Many more interesting papers can be found in the CSAE Conference programme. The World Bank’s Development Impact team also produced an excellent blog summarizing papers in one or two sentences. We are happy to hear your feedback on our blogs! This entry was posted in CSAE Conference, Institutions and Growth and tagged Benin, Firm size distribution, Firms, Ghana, Identity, Missing middle, OxCSAE2017, Taxation, Togo. Bookmark the permalink.